With the memory of long summer evenings now firmly behind us and the nights quickly drawing in it’s time to dig out your lights for the winter season ahead. One issue common to most with this change of season is remembering to charge said lights though. One easy way to avoid being stranded out in the downs with a dying light is of course to do away with batteries all together and instead invest in a dynamo front wheel. The advantages of using a dynamo are that you not only never have to remember to charge your lights again, but also it gives you the option to charge a battery pack or other devices during daylight hours should you be of the audax/touring/bikepacking persuasion. Modern dynamo lights are also generally designed for you to see where you are going, unlike town lights that just help to make you visible to traffic. Plus they don’t require any additional battery packs and are generally much smaller than their battery counterparts. Additionally, they are an easy way to increase your visibility throughout the day and in having a dynamo setup you again need not concern yourself with battery run times and the managing of your lights. Simply keep pedaling and your light will stay on. 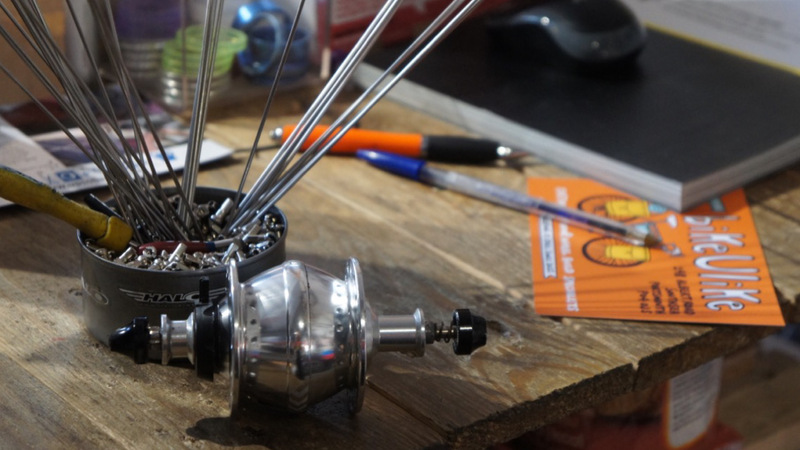 Here at bikeUlike we specialise in hand built custom wheels so whatever your taste in rims, axels, spokes, niples and brakes we can advice and build specifically to your needs and budget. 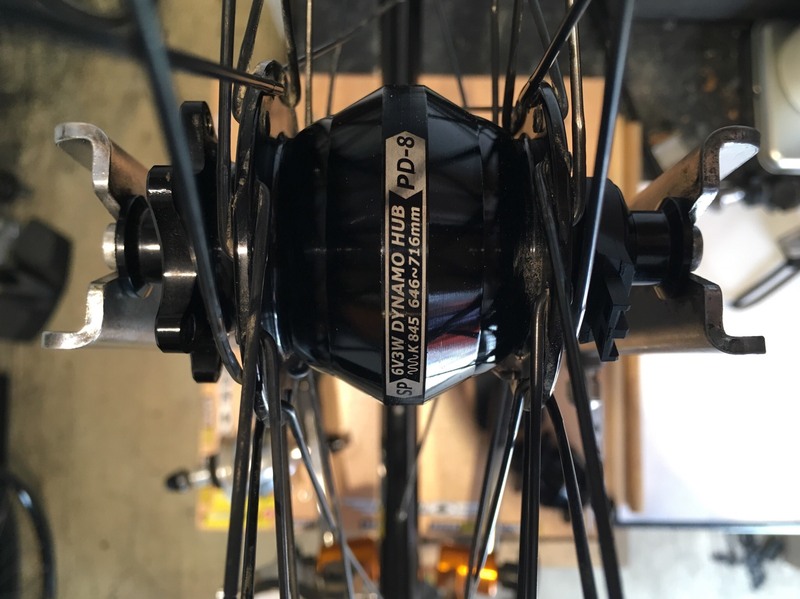 We currently stock the two leading dynamo light hubs in the form of SP and SON as well as a great selection of dynamo specific lights from Busch and Muller to round out your build. To find out more just drop in for a chat or ping us a message. Not local? No worries, we’re happy to build and ship you your new wheels.